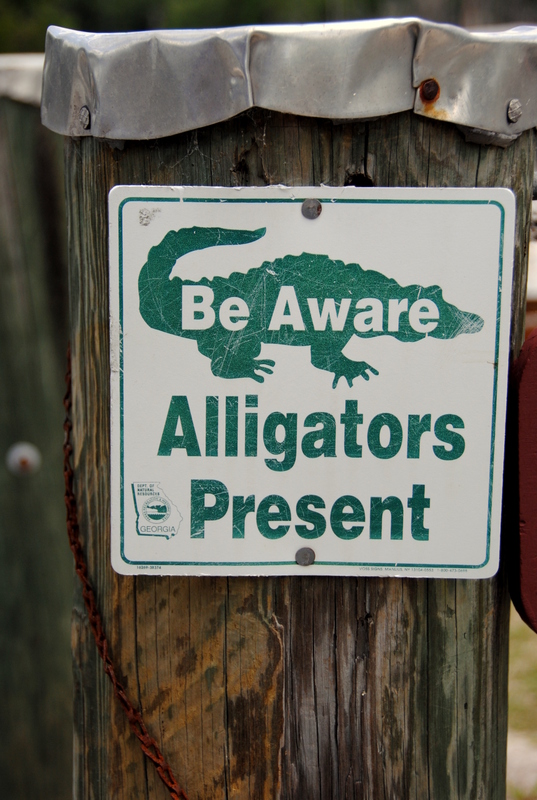 Want to See Alligators? Of Course You Do! The last few days we’ve been exploring the Okefenokee Swamp in Georgia. You might recall the post about the overall experience and origin of the swamp’s name. Or perhaps you were taken by the physics-defying cypress trees? Well, now’s the moment you’ve been waiting for: alligators! There are 15,000 in the swamp–we didn’t see them all. They grow up to 15 feet long (a foot a year) and 500 pounds. The largest reptile in North America, their chance of survival is slim when still eggs and newborns: at this stage they’re the prey. They’re considered a “beneficial species” because they control the populations of beaver, muskrat, and turtle. They also have no peripheral vision, which makes them a beneficial species to tourists who don’t know how to steer a boat. Any beneficial species in your life?